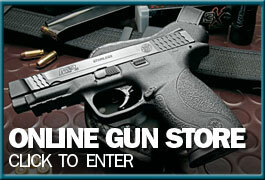 Looks like Glock will be offering the guns listed below sometime this summer! Give us a call (919) 803-4605 or email us at info@carolinagunrunners.com if you would like to be put on our list for these! The FS version will have forward slide serrations, steel sights, and extended controls. Glock will also offer night sights as a factory option on the G17 Gen4, G19 Gen4, G42, and G43. I am interested in a GLOCK 17 LONG SLIDE, if and when you have one available, to hold in my hand. i would appreciate an email notice and an approximate price range, if you can share that data.